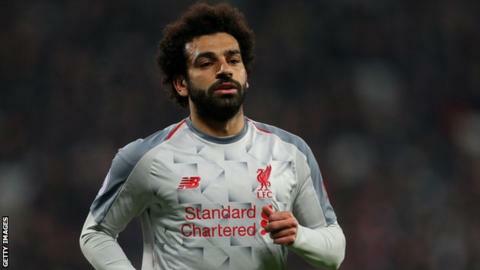 The footage, taken by a fellow fan, shows expletives directed at salah including regarding his Muslim faith. It continued: "We are an inclusive football club. Anyone identified committing an offence will have their details passed to the police and will face a lifespan ban from London stadium. "There isn't any place for this sort of behaviour at our stadium." The user who posted the video on Twitter said: "I was disgusted by what i was hearing. individuals like this merit no place in our society let alone football matches." "We are dismayed to see yet another high-profile incident of discrimination in English football," anti-discrimination charity Kick It Out said in a statement. "We are happy that West Ham officers have expressed their determination to identify the supporter and take firm action - this type of behaviour is simply unacceptable and must be challenged swiftly and decisively." Salah was named PFA Player of the Year, football Writers' footballer of the Year and Premier League Player of the Season last year after his 32 goals set a new record for the most in a 38-game season. He has been praised by Steve Rotheram, mayor of Liverpool, for helping to tackle islamophobia and "breaking down barriers", as well as being described as a role model for Muslim children.